The Olli shuttle bus and the two Matilda smart transit hubs aim to improve transport option and real time information in the area. The trial of a new hi-tech autonomous bus and smart transit hub was launched at one of Adelaide’s most popular locations. According to a recent press release, the trial will improve transport options and real-time accessible information in the area. 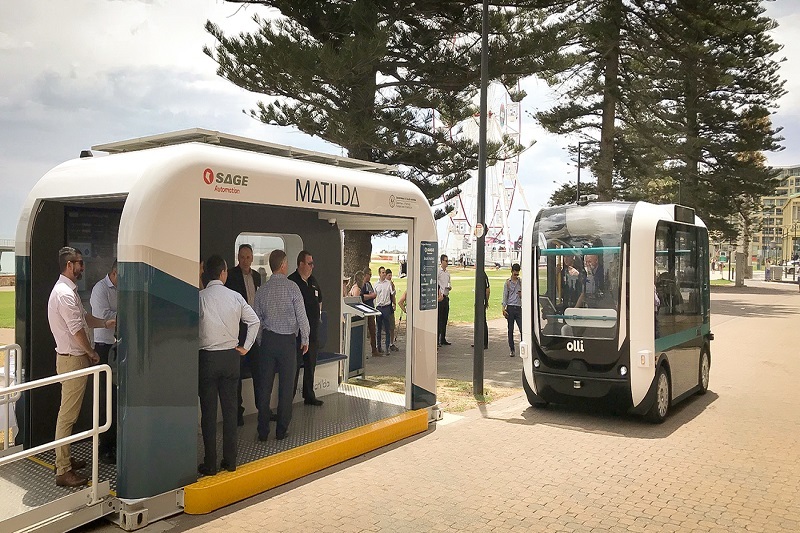 The Olli shuttle is a driverless, electric vehicle, which will drive from Mosely Square in Glenelg to the Broadway Kiosk and back, supported by two smart transit hubs called Matilda. Eight people can be taken by the bus at once. The smart transit hub, on the one hand, offers smart integrated technology to the public commuters. The Future Mobility Lab Fund of the South Australian Government is funding both projects. Minister for Transport, Infrastructure and Local Government Stephan Knoll shared that the Olli and Matilda are examples of technological developments that could improve the transport system and customer experience for years to come. The State Government is pleased to partner with a local industrial automation company, a US-based ground mobility company as well as the City of Holdfast Bay in order to trial the world’s first integration of an autonomous shuttle with a smart transit hub along the foreshore of Glenelg. The South Australian Government is committed to improving the state’s public transport system and this new autonomous technology provides a glimpse of what could be possible in the future. The State Government aims to create a public transport system that is more efficient, customer-focused and suits the needs of South Australians better, for generations to come. Investment in this space drives innovation and this particular project will allow more people to enjoy one of Adelaide’s most popular spots. It will also improve accessibility to the local area providing a list mile solution with the Glenelg Tram. The Olli shuttle is based on military-tested technology and is fully capable of operating autonomously. The vehicle incorporates LiDAR, computer-vision and radar detection systems to provide awareness of its environment and perform autonomous navigation. LiDAR stands for Light Detection and Ranging. It is a surveying method that measures the distance to a target by illuminating the target with pulsed laser light and measuring the reflected pulses with a sensor. Olli and Matilda have an on-board human machine interface and cognition allowing them to ‘talk’ and interact with passengers. This allows them to provide information about the vehicle and its surroundings. The Olli shuttle will operate in conjunction with the cloud-connected Matilda Transit Hub to deliver a complete experience for passengers from pick-up to drop-off during the trial. Passengers are assured of their safety particularly with the provision of CCTV, LED lighting, PA and instant intercom access, which provides peace of mind. Moreover, there are digital touch screens at the Matilda transit hubs, which will provide passenger information on real-time bus positions, the weather and localised items of interest.